High Cats style wig. The wig features an elastic band for a comfortable and secure fit to almost any head size and is available in a range of different solids and mixed colors. 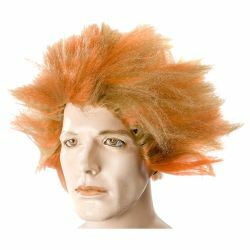 This wig is perfect for creating a cat costume for Halloween or for directors who are currently putting on Cats the Musical.